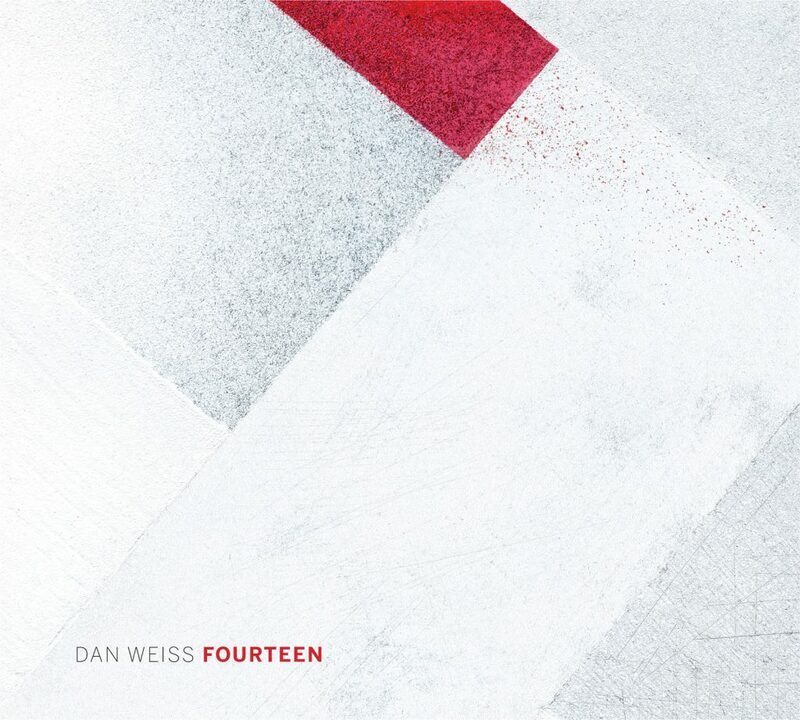 Fourteen is drummer Dan Weiss‘ breakthrough as a composer and bandleader: A hugely ambitious project, it is a through-composed work that features a 14-piece ensemble with guitar, horns, voices, harp, piano, organ, bass and percussion. Its an indescribable amalgam of jazz improvisation, Indian beat cycles, extreme metal, minimalism, prog rock, contemporary classical music, and a myriad of other influences, all compounded into an outpouring of personal expression completely beyond musical boundaries. Named one of “Five Drummers Whose Time Is Now” by the New York Times, Weiss is one of the most in demand musicians on the jazz scene. He began playing the drums at the age of six and received his bachelor’s degree at Manhattan School of Music with a major in jazz percussion and minor in classical composition. He has toured and recorded with musicians such as David Binney, Lee Konitz, Rudresh Mahanthappa, Miguel Zenon and Kenny Werner, among many others. A disciple of the tabla master Pandit Samir Chatterjee, under whom he has studied for almost 20 years, Weiss is also arguably unique among jazz drummers for transposing ideas from his study of Indian classical music to the drum kit. He has released four prior albums as a leader: Tintal Drum Set Solo and Jhaptal Drum Set Solo both with Miles Okazaki on guitar on which Weiss performs classical works for tabla on trap drums; and Now Yes When and Timshel, which feature his long-standing trio with Jacob Sacks on piano and Thomas Morgan on bass. He has been named the number one “Rising Star Percussionist” the last two years in the Downbeat Critic’s Poll. The work is meticulously composed and solos are woven into the musics fabric. Okazaki views this piece as a collective sonic exploration, focused more on the gestalt texture than the ego of any individual. Intricate rhythmic detail informs every part of the music. The work ebbs and flows, growing to powerful crescendos before modulating to quiet contemplation. The individual instrumental parts are often direct, but they draw their strength by being placed layer-upon-layer to produce their mysterious effect. Okazaki calls the music complex without being overly intellectual, loose without being chaotic, emotional without being sentimental. According to Matt Mitchell, one of the many inspiring things about being involved with Fourteen was the courage and determination Dan displayed in putting together something so ambitious. “His having pulled it off so splendidly gives me a renewed and expanded sense of what is possible”. A true tour de force, Fourteen is recorded to be listened to in full: tracks flow without pause from one to the next, alternating between ghostly beauty and brutal workouts, by turns intense, transformative, and transcendent.